Do you feel, you are lacking time to watch your favorite movies in home? This is quite popular nowadays due to the corporate world that we are heading towards. This can be sorted out by watching movies on the move when you are in train, cab, bus etc,. But most of the digital portable players like the mp4 players, iPods, and mobile phones are not compatible with the avi format, though some are. Hence there is need for you to convert the avi files to a particular format, which is being supported by most of the digital players (say mp4). Mp4 is the extension of mpeg, it is nothing but mpeg4. It does have good video and audio quality with good frame speed and high bit rates. It is also getting very popular due to the intervention of the fascinating mp4 players into the market nowadays. For converting the avi files into mp4, you need to have the converting software. If you don’t have one, then it is better to download one from the internet. There are different converting softwares that available in the internet, select any one of those and get it. After downloading it, install it in one of your local drives. Most of the converting softwares are very user friendly, you need not know any internal settings all the required things will end up in mere few clicks of yours. As said earlier there are many converters, let us consider the yasa converter to convert the avi files into mp4 files. Once the yasa converter is launched, you will find a screen or dialog box which would appear for most of the applications. You will find a button called ‘add files’, using this you will get the ordinary open dialog box. You can simply browse for the files that are to be converted and select them. This particular converting software is a complicated one; you need not worry as there are profiles worked for the easy working on it. This converting software is used for converting different formats of files into the mp4 format, so you need not specify the output format. In some converters you may have the option of converting the files into different formats, in those situation select the format as mp4. You can also select the output folder as you need. The name of the output file can also be edited. 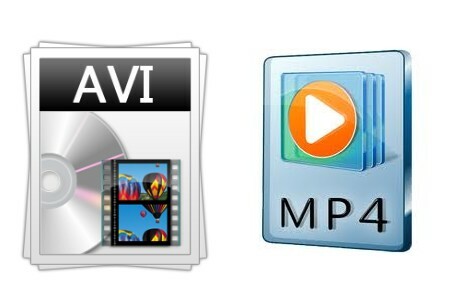 There are also some costly and complicated converting software for the conversion of avi to mp4, better avoid them and select simple files for easy conversion process. The conversion time depends on the size of the input avi file. It would certainly take some minutes for the process to complete. The mp4 format does come with good quality. How to Improve Your Grammar?